For those of you who haven’t been to Montana, now is the time. There’s a lot of hype with this destination as this state is featured in every major American outdoor hunting & fishing magazine on a monthly basis, issue after issue, year after year. And I can see why. After living there for more than 18-years and fly fish guiding through most of those years myself, the secret’s out and has been for a long time. The reason being is because of access to very high quality public water fishing. It’s free and it’s yours. People from all over the world come here to enjoy the Treasure State’s plethora of public waters on a world-class level on a blue collar budget. Whether staying at a pre-arranged travel lodge booked through us or simply “rolling your own” way, let us help you with your travel needs, you’ll be glad you did. This part of the world has two National Parks and more National Forest lands open to public use, especially to fly fishing, than any place else on earth, with out a doubt. It defines fly fishing & Outdoor Mecca, and for good reason. *This season will be my personal 17th year guiding in the Treasure State of Montana, after a three-year hiatis, I have to go back for more and do it again. The Driftless region of Wisconsin is experiencing some its weirdest weather in the region’s recorded weather history. As of the last two weeks record warm temps have made this top secret national fly fishing destination experiencing early summer hatches in Mid-March! For those of you looking for something different in very beautiful settings, check out Wisconsin’s Driftless region. This region is known for its smaller sized wild, natural reproducing trout, but you have to give it a break, the streams are very small and simply a joy to fish dry fly on 2-3wt rods and having a place literally all to yourself, except for the occasional Amish buggy tootling by down the road as you’re making a cast. There are larger trout here and you have to pay your dues to connect, but they are here and what a fun place to fish! You can catch minnow sized trout on up to 22 inches in a single day, all on dry flies. I have been at this lodge for 6 days now, the meals are superb, the wait staff is delightful, the scenery is outstandingly beautiful My hosts brothers Sebastian and Juan Andres Gailia are 2 of the nicest gentleman I have ever met. The Lodge is a cross between modern technology and old world tin roof Chilean homestead. The fly fishing is undeniably some of the worlds best. The fish see very little pressure, not leader shy and will pretty much eat a flip flop if you had one small enough. The other lodge guests will be missed and I learned a lot from each one of them. As they say in Chile Caio, Caio…. With all the off shore rods and reels in the industry, there are a few companies who are home grown and Im a firm believer in ,you get what you pay for. So I would like to give a shout out to some fine American Made Companies. Scott Fly Rod (Montrose, CO) & Hatch Outdoors (Vista, CA). I picked up some gear from them for my up coming trip to Chile this January , at the Cinco Rios Lodge. 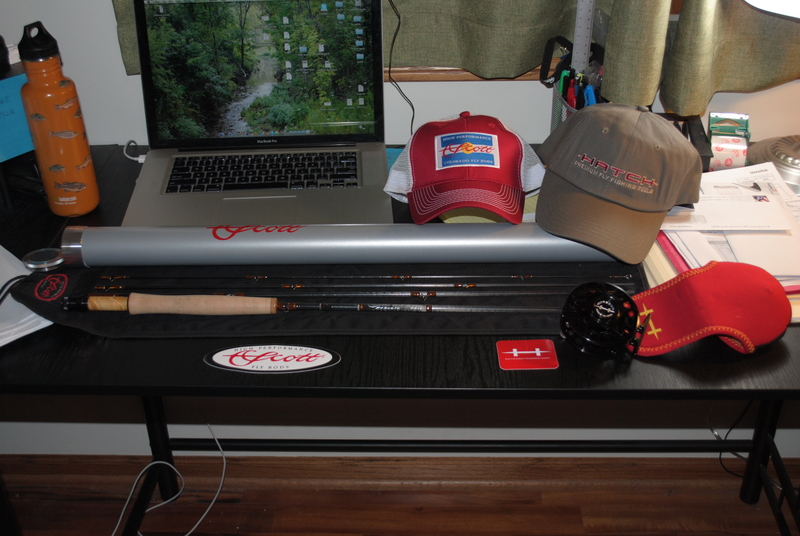 I received my rod and reel today : G2 8’4″ 4wt Scott Rod & Plus 3 Large Arbor Hatch Reel. I can not wait to land my first Chilean Brown Trout!!!!! Check out the site of these American Made Companies or feel free to visit our site and check out our destinations at Life On The Fly Outfitters. This January I will be visiting Cinco Rios Lodge in Aysen Region of Chile. 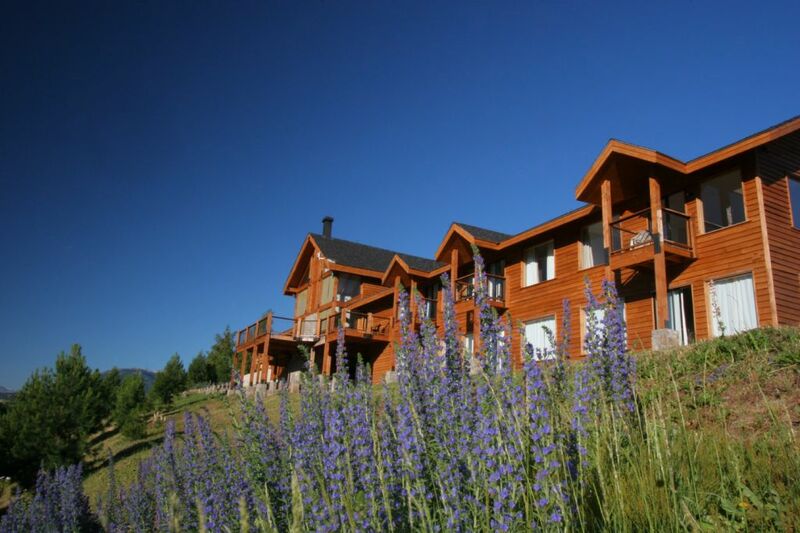 Cinco Rios Lodge is located near the quaint South American city of Coyhaique, Chile. which is about a 3hr flight south from Santiago. The main lodge is located on the banks of the Rio Simpson. Which is the home of Southern Chile’s most pristine trout water. From experienced guides who grew up in the valley to US born and Chilean trained guides this lodge will be sure to exceed your needs, for the novice and veteran anglers alike. Each day you are transported to the river via 4×4 vehicles to experience a different stretch of water each day. Such as; Rio La Paloma, upper ,middle & lower Simpson; including rios Minhuales & Aysen; lagos and boca of the Azul, Desierto, Elizalde, Frio, Castor & Pollux. Guides generally will offer two-days of fishing by jet boat, two-days wadding, and two-days by drift boat. If this sounds like a true adventure that you would like to be part of please don’t hesitate to contact us. Remember wether you book direct or with Life On The Fly our services don’t cost you a dime! !